Hyperbole Alert: This is one of the best loops I’ve ever cycled. 1. 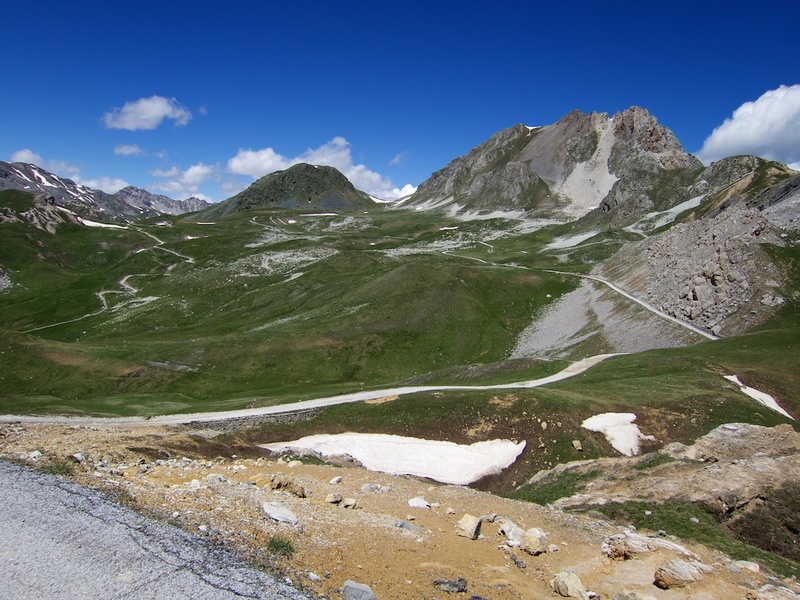 A quiet 3rd way up Colle Fauniera (2481 metres) – the fifth highest paved road in Italy. 2. Fifteen (amazing) kms along unpaved old military roads (always above 2000 metres). 3. A descent down what may be the best +2000 metre paved climb that no-one knows. 4. 11 mountain passes (all labeled on the map) – admittedly, many traversed to, not climbed. Vertigo, and badly tucked, food-filled kit. Rocca la Meja in background. Mountain Higher author Daniel Friebe described Fauniera as “maybe the most alluring and unspoilt pass around 2500 metres in the Alps.” Indeed. There are three paved roads to Fauniera (see profiles below). They are all quiet, challenging, and fabulous. My route today is easily the smallest/narrowest of the three. For details of the other two sides see here. The climb starts in Ponte Marmora, but one could start far lower, as the main road up through the valley, while not car-free is relatively interesting. Approaching Màrmora I saw signs saying the road was closed ahead. Uh-oh. They were repaving the lower kilometres, but I managed to sneak through. And also enjoyed the beautiful new surface. Note, this entire side signs the route as heading to Col d’Esischie (2370 metres). It’s a little more than a kilometre below Fauniera. It’s like climbing Col du Glandon, then turning up to Col de la Croix de Fer. Perhaps 12 kilometres from the summit is where the fun starts. Lots of warning signs as the route becomes tiny. No campers, trucks, etc. I would NOT drive this road for a €million (but on a bike: wooohooo). It is rough, occasionally falling apart, and especially the first few kms, there are short crazy-steep ramps where it just looks like the road has risen up in anger. After several kilometres of steep hairpins, the route enters a little plateau above the tree-line. Beautiful place. At Col d’Esischie, the route joins the main Pradleves route to Fauniera. Here there is a nice Fausto Coppi sportive monument, and plenty of warning signs to anyone thinking of descending the way I’d climbed. 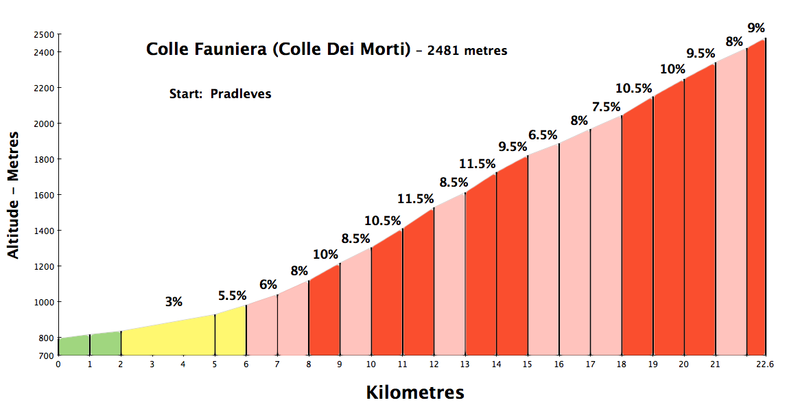 It’s not far to Fauniera, but this steep final stretch passes another Col: Colle del Vallonetto (2439m). At the summit is the strange Gollum-like Marco Pantani statue. 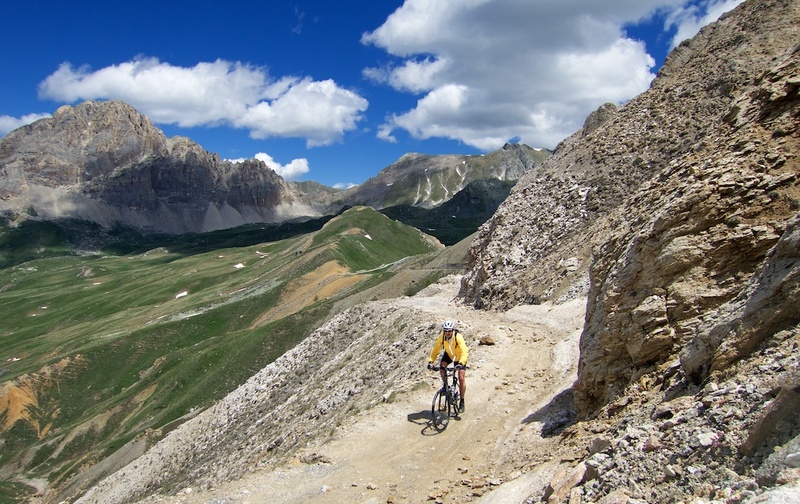 This unpaved route passes through the Altopiano (plateau) della Gardetta. Reachable from three large valleys (Stura, Grana, and Maira) this plateau is not in fact remotely flat. Completely undeveloped except for the occasional military ruin, access was forbidden before WW2 as it was seen as a strategic military area (hence the toponym Gardetta). I lost the sun, but was confident things would stay dry. But I realised I probably should act more like a cyclist than an amateur photographer …. and get moving. The route stay either side of 2400 metres until Rifugio della Gardetta, where it descends through a truly amazing plateau down to Colle del Preit (2083m). Part way down, I turned off the main road, and up 3 steep kilometres to Colle San Giovanni (1615m). Not well know as my Strava time was 7th fastest (only 12 entries). I descended the completely unpaved (and bumpy) far side of San Giovanni. For road bikers who want to climb Colle del Preit and San Giovanni, skip my way down and instead climb via Pont Marmora and take a right turn at Màrmora. The paved road ends at the summit of both climbs. As I said to start, this ride is one of my very favourites. 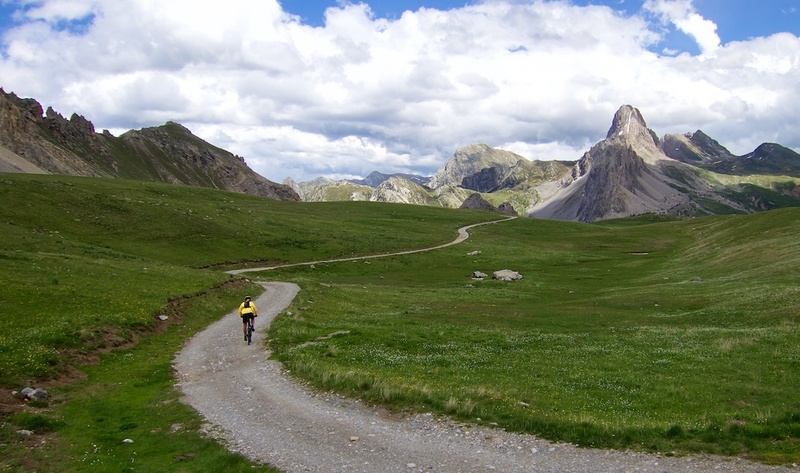 A huge climb, some back road exploring, and the discovery of Colle del Preit. One day, maybe I’ll try it in the opposite direction. I will put together a map and post highlighting the best unpaved military roads that I know. But for now, see here. Thanks for the report it’s so interesting to read. The road up from Marmora is very beautiful and challenging on a loaded touring bike, I went up the 2nd time last summer. I suspect they were repairing the road as it seems to get washed away a lot, certainly that was the case when I went up in 2008. I think that’s also why there are some crazy steep bits. Cycling around the last valley to Esischie is a wonderful experience. Oh Will… You did it again 🙂 This looks fantastic, I’m drooling! 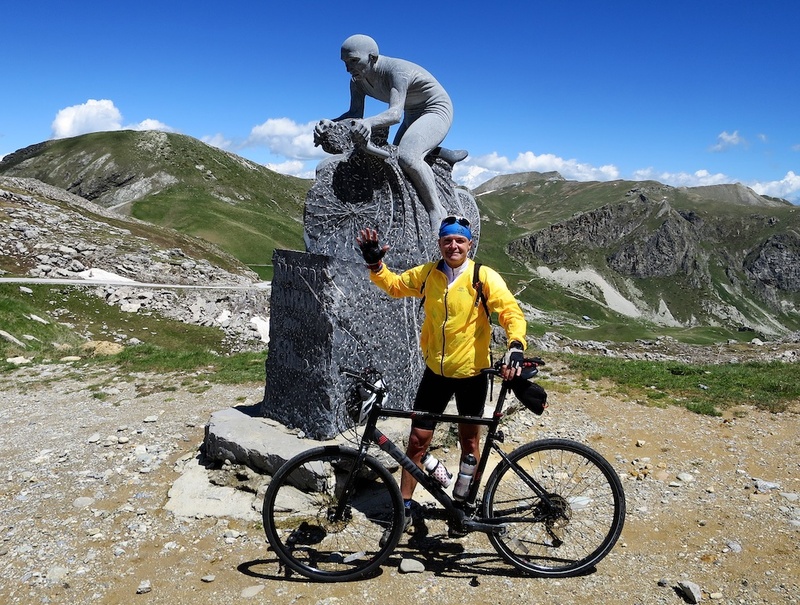 Last year I rode up and down the Demonte side and on my huge ‘Transalp Tour’ coming up in July, I reserved a whole day just to do the 3 sides of the Fauniera. Now I certainly have to do this instead! 😀 (Honestly, I already thought of bringing my gravel bike with 36c tyres to go have a look at Rifugio Gardetta). – I still have to figure out the order of things though. The night before I’m sleeping in Demonte and I have to finish in Marmora, and I was also hoping of doing the Pradlèves side… Got any suggestions? – Another question: my mom is joining me on my trip with a car (Volvo V60), as some kind of support (not a follow car). You think it’ll be impossible to drive a Volvo V60 from Demonte to Marmora over the col? Well if you want to do Praverdes side and Demonte side then you have to go up and down both. No other option possible if you want to climb both. Basically what I did in my first visit. But that is a big day …. at least for me …. 3000m climb. Then you could do the unpaved way down. Tough but great day. I suppose you could go from Demonte to start of Pradleves side, but I don’t think it’s a great ride at all. The drive up from Demonte is fine. From Fauniera to Marmora? It’s open to cars, but I wouldn’t like to drive it. It depends how comfortable she is on narrow, steep, twisty roads. Pradleves side is less stressful. Thanks! I don’t see any other option either. I settled on climbing the Demonte side, then down to Pradlèves and up again, and then through the Altopiano della Gardetta down to Marmora. 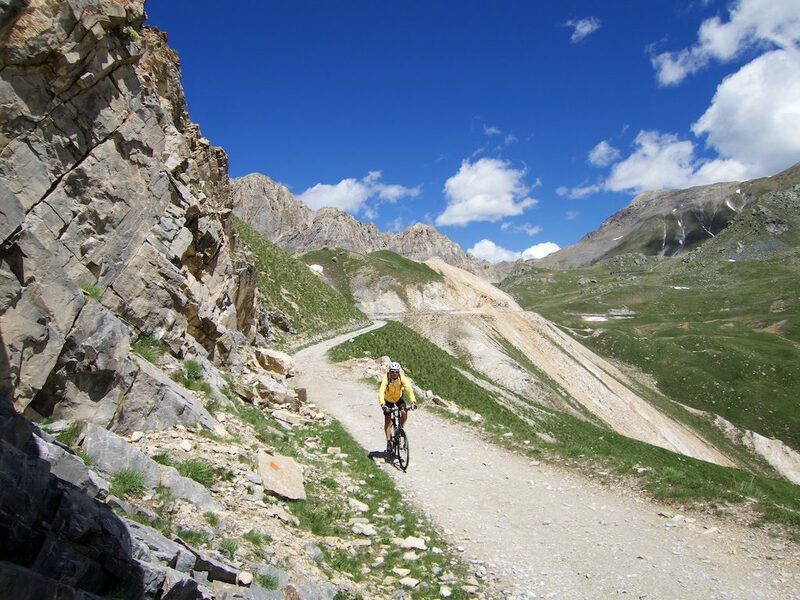 Like every year, a stretch of the (unpaved) road, between Colle Cologna and the intersection to Rifugio Gardetta is CLOSED to motor traffic during weekends in summer months between 9 AM through 5 PM. Also note that such stretch of road is forbidden at all time to non-4WD vehicles. Great photos – takes me back just over 4 years ago when my girlfriend (now my wife) and I did a similar trip. We’ve also got a shot of both of us standing by the Marco Pantani statue. I just came back from that area, riding on a road bike, so have only wistfully looked at that plateau from colle Valcavera. 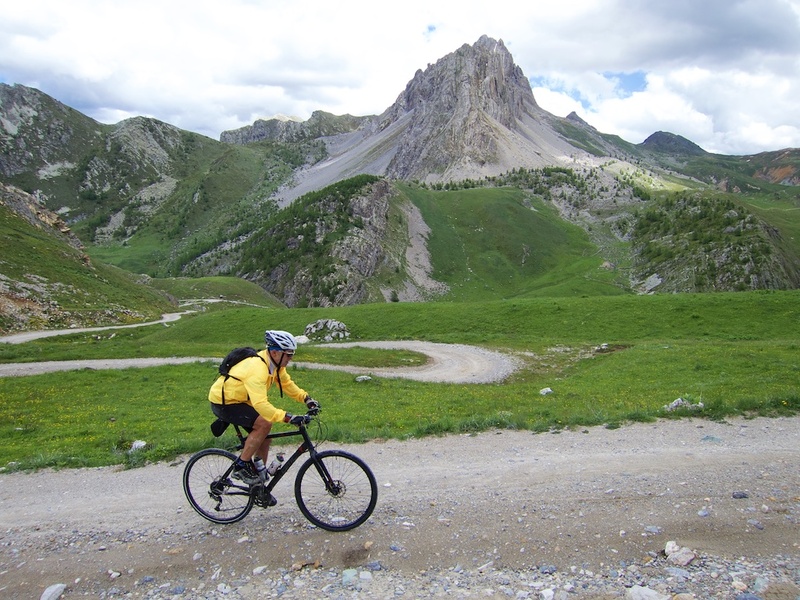 We rode up via Pradleves and descended to Demonte. The Demonte road (vallone dell’ Arma) is very smooth and beautiful to descend on. Wife and i will take this wonderful ride around August 10-20. Flexible date as we’re vacationing in the Po Valley. We’re from Turin, Italy. Wife and I did the Altopiano della Gardetta this past August, CW loop from Marmora. Gorgeous weather. Love your site and great article! 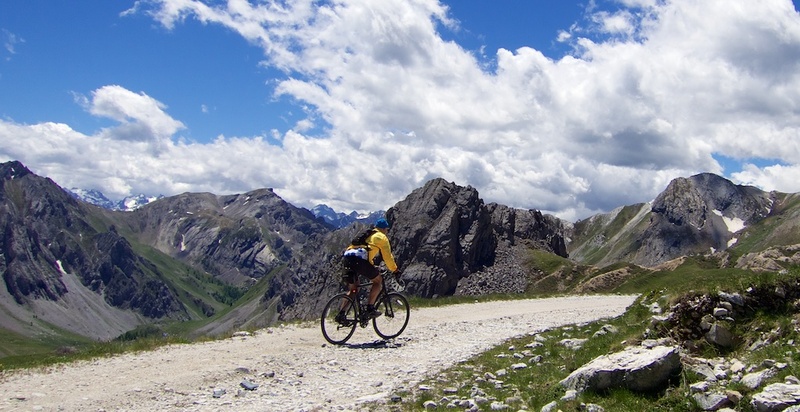 I’ll be touring the alps on my road bike this summer and was wondering whether you reckon a road bike would be ok for the unpaved road to colle del preit? Hi Jonathan, Below Colle del Preit is paved. Steep but very interesting, quiet climb. But honestly, above the way I rode in this post is rough – for a long way. It’s not a road bike route unless you are very very unfussy. Lucky guy! You ride more than most people can only dream of riding. I got a group of guys doing all three sides this summer and I wanted your thoughts on something. Instead of descending to the valley floor at Ponte Marmora, what do you think of turning right in Marmora, then climbing up to Colle del Preit? You say that the road is paved. Question is how “well paved” is the road and will 23mm (or even 25mm’s) tires hold up to this asphalt? 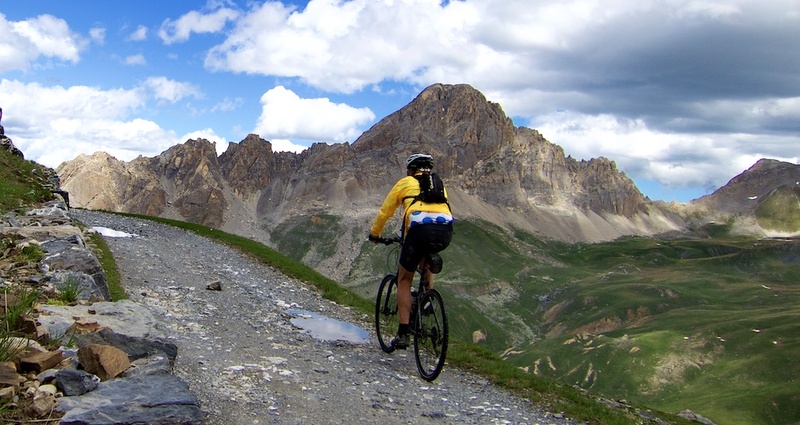 The paved road up to Colle del Preit is fine for a road bike. Above the Col requires thicker tires, unpaved. But as I descended Preit I kept thinking it was a fantastic, unknown road bike climb. ENjoy. … should say turning left in Marmora. Sorry.